Everybody say “Rewind.” A repeat offender has emerged back into the diet. We’re getting rid of all the leftovers for the next three days so several meals will be repeated. Exciting times. Today for breakfast, I added agave nectar. For some reason the oatmeal was very dry on its own. 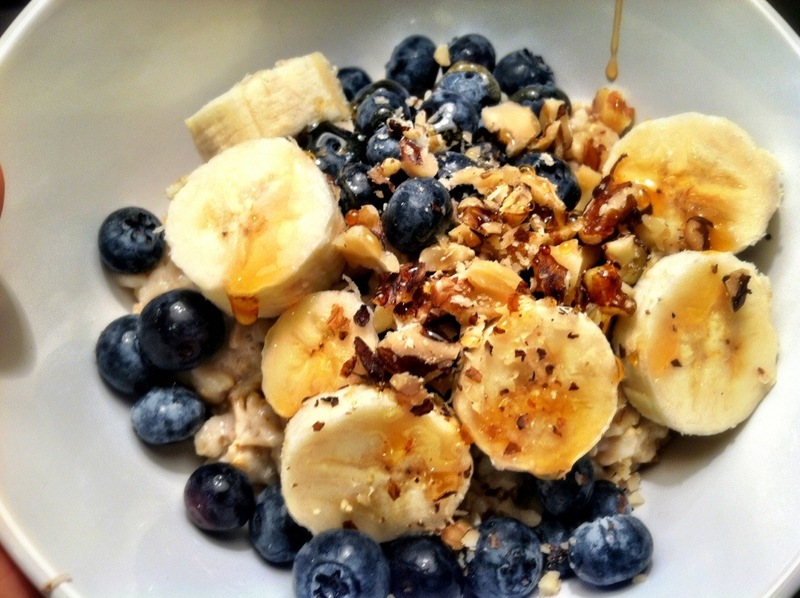 It’s probably because we used blueberries and bananas instead of raisins, which likely warm up from the heat of the oats and release bits of sugar. 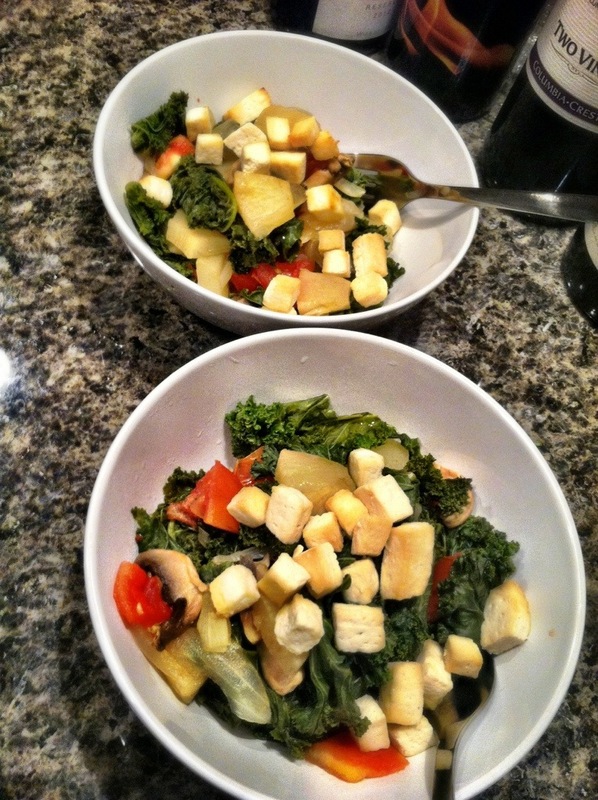 For dinner I used the last bushels of kale and soaked tofu in pineapple juice and baked it off. Onions, tomatoes, mushrooms, pineapples and pineapple juice all steamed in a pot. I actually enjoyed it. I don’t think my girlfriend enjoyed it. That made me a little sad. Today was weird. I’m not sure why but not being able to “eat my feelings,” is probably the best thing I could do to challenge my discipline and will power and figure out things more productively. Go figure.